I tried almost all the adventures like skydiving, bungy jump before doing scuba diving and I must say that scuba diving is the best among them and must try before you die. But ensure that you are doing at correct place. 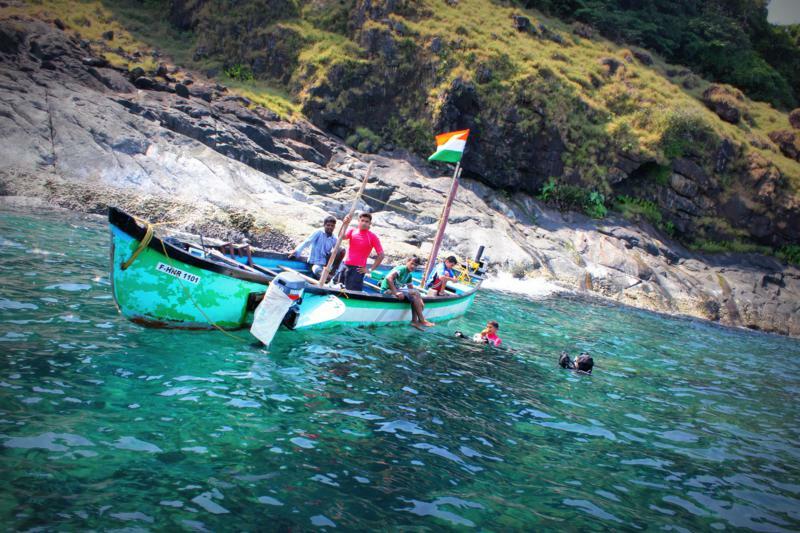 Murudeshwar is best place in India for scuba diving(apart from Andaman and Lakshadweep). My experience exceeded my expectations and dive was amazing. 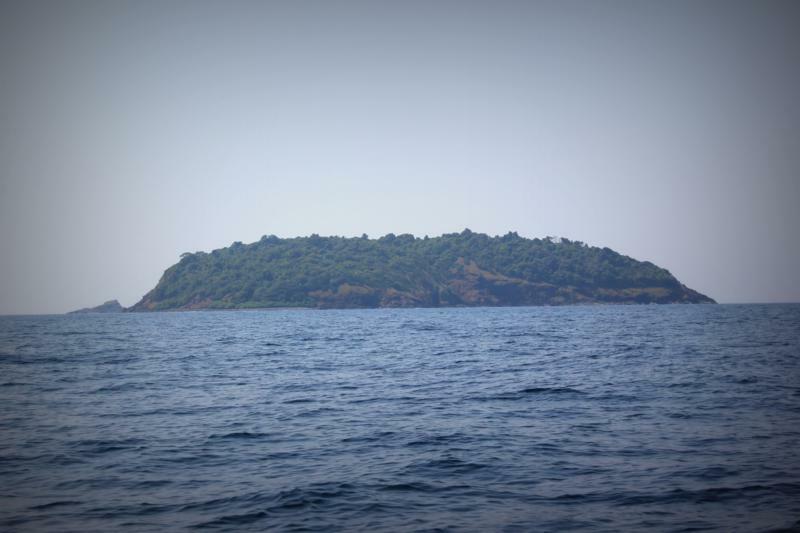 Nethrani island or Pigeon Island, located near Murudeshwar is emerging as the top scuba destination in India. It is a big island, which has a hill and there are many restrictions for entering that island. It will take almost 90mins to reach Nethrani island from Murudeshwar. 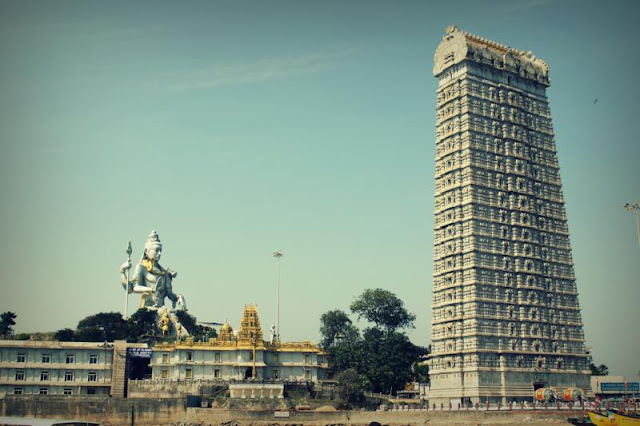 Murudeshwar is a small town located in coastal Karnataka. 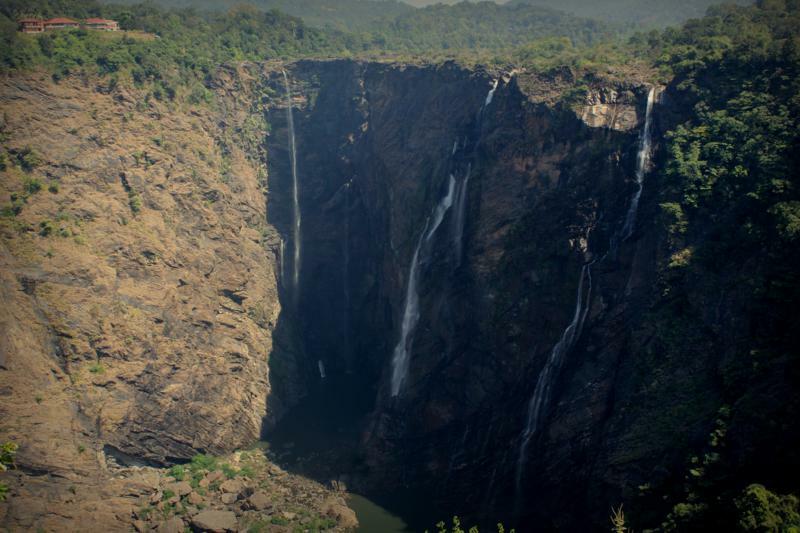 It is located at a distance of 250km from Hubli, 300km from Belgaum, 150km from Mangalore. It is situated on the Mumbai -> Mangalore train/road route(Konkan Railway). Many private/public buses are available from Hubli, belgaum, bangalore, Hyderabad, Panjim, Mumbai. The popular services being KSRTC, VRL travels, Canara Pinto, Kesineni Travels. Most of the buses wont go inside the town, they will stop at the highway bus stop, from there we can hire a auto to reach the temple. While booking a bus, if you don't find any buses to murudeshwar, try searching with Bhatkal. By Train:Most of the trains wont stop @Murudeshwar station. All the trains from Mumbai -> Mangalore stops @Bhatkal station(15km from Murudeshwar). There are many budget hotels in Murudeshwar. But the famous being naveen hotels chain. RNS Residency which is located near the temple, facing the Arabian sea is best among them. But it is expensive. The other two hotels RNS Guesthouse, naveen beach resort are also little bit expensive, but they are very near to temple and beach. 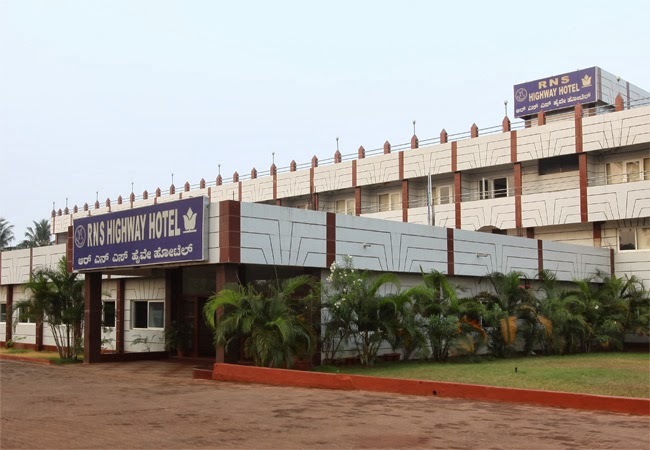 I stayed in RNS highway hotel, which is located on the goa-mangalore highway, 2km from the temple, is a not so expensive. All these four hotels are well maintained and also the only places where you get good accommodation. For bookings visit: http://naveenhotels.com/index.php or just call them few days before and block your bookings. 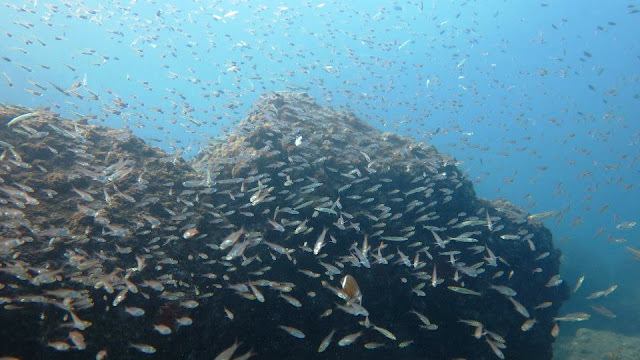 There are three organisations that offers scuba diving in Murudeshwar. http://dreamzdiving.com/ : I did scuba diving with these people and they are simple awesome. They are very supportive and very well trained. If you want try DSD program, these guys are the best. Most important they will take super photos of your dive. Please block your dive slot at-least 2 weeks before by calling them directly or through mail. All these people operate from the same dive shop located near RNS residency swimming pool. I don't see any risk involved in the scuba diving(Discover Scuba diving program). 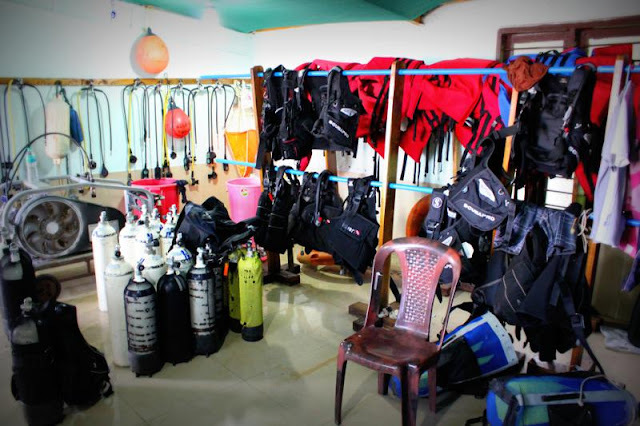 The instructors of dreamz diving were very helpful and they took all the safety precautions. Swimming is not mandatory for the scuba dive. 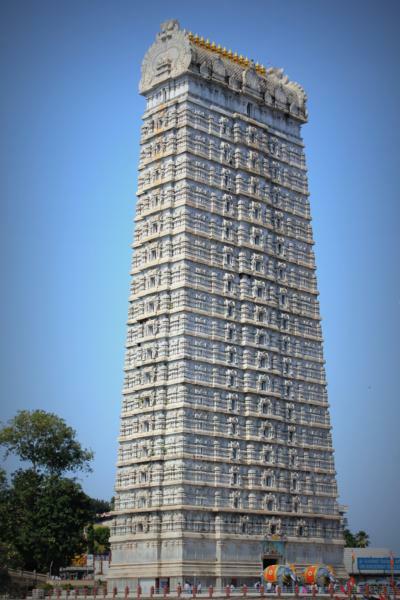 The Murudeshwar temple is one of the top attractions in murudeshwar. Temple gopuram is one of the tallest in the world, also the shiva statue is highest shiva statue in the world. This temple is located few steps away from the beach and surrounded by water on its three sides. Jog falls, one of the highest waterfalls in India, is located at a distance of 90km from Murudeshwar. Unchalli falls is around 90 km from Murudeshwar. 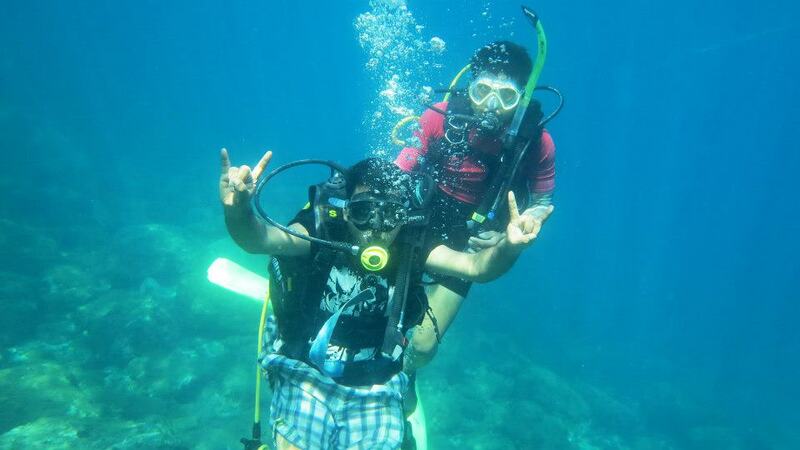 One week before dive date, I called up dreamzdiving (Dhirendra) and booked two slots for me and Vijay on Saturday. As per the schedule, dive trip will start @9AM from RNS Residency. I'm little bit scared that whether we will reach murudeshwar before 9AM, because murudeshwar is around 900km from Hyderabad. Also there is no stop at murudeshwar, so I woke up at 5AM, started my mobile GPS and started tracking the route. Luckily both of us reached murudeshwar by 6.30AM. We directly went to RNS Highway residency and took some rest. After having yummy breakfast at the hotel, we started to RNS Residency,located next to temple. After waiting for 2hours, @9.30 AM we boarded the boat and started towards netrani island. It took almost 1.5 hours to reach netrani island. During the boat ride, Dhirendra explained us clearly about the scuba diving equipment, how to breathe and all technical details about the scuba equipment. When we are about to reach netrani island, the water color started changing and we are able to see fishes inside the water. I never expected that visibility. When we reached netrani, I was so excited and immediately jumped into the water with life jacket and snorkeling equipment. That was the first time I'm doing snorkeling and experience was amazing. It was like a movie trailer before watching a big hit movie. 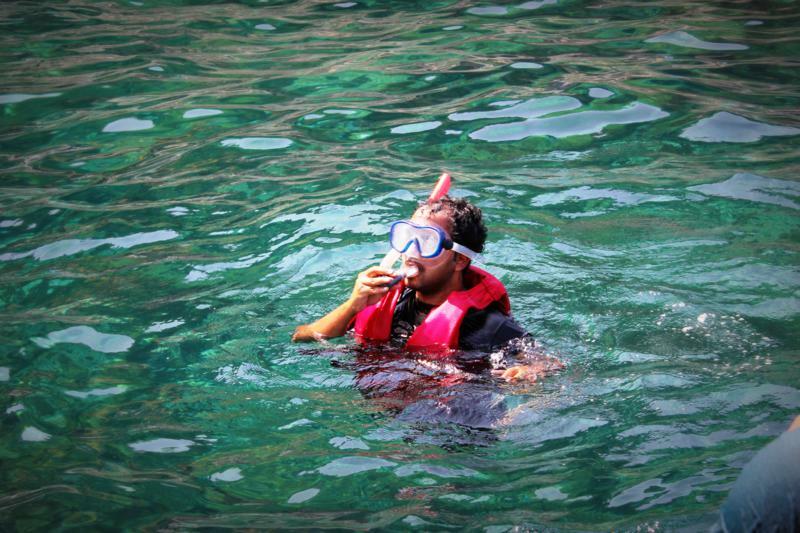 I snorkeled for almost 1 hour and during this time vijay completed his jump. Vijay has no expectations about this scuba trip and after the dive, he was speechless and told me that there is a different world under the sea. 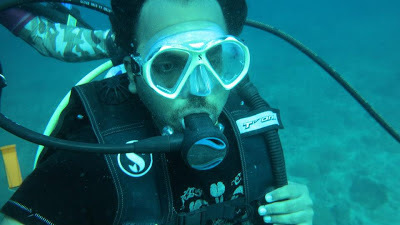 After hearing that words from vijay and snorkeling experience increased my expectations about the dive. We opted for the DSD program where one instruction will accompany us for the whole dive. Dhirendra accompanied me for the dive and gave some basic instructions before getting inside the water. Hmm now all set for my dream dive. For the entire 30mins duration of the dive, nothing came to my mind and I was into a different world. Different kinds of fishes, beautiful coral reefs, I don't have any words to describe the beautiful world inside the water. We went till 10 ft deep inside the water. Dhirendra took photos of me inside the water and also helped me so much in showing different kinds of fishes. Finally after enjoying the dive for 30mins, I had some snacks and relaxed for some time in the boat. 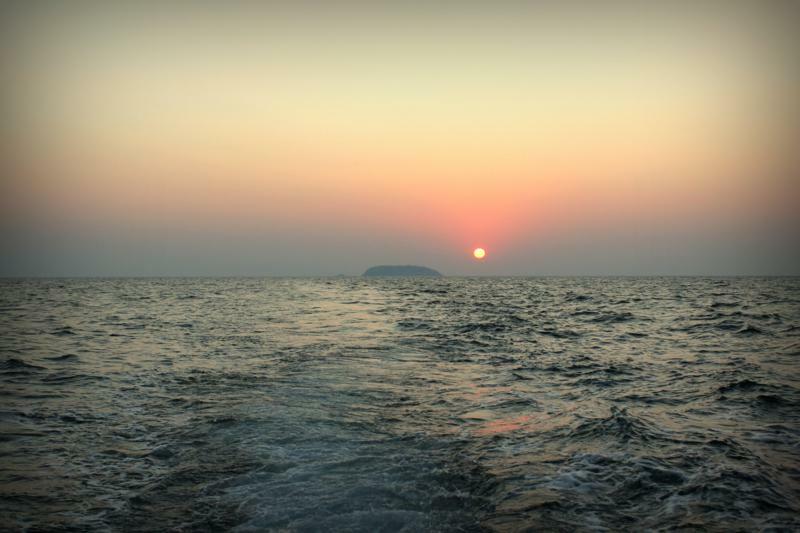 We started @5PM from netrani island and the reached murudeshwar @ around 7PM. The sunset from the netrani island was amazing. We went to the hotel, relaxed for some time and came to RNS beach resort for the dinner. Thanks for the info! Murudeshwar sounds like a great holiday destination - especially for scuba-divers! I was almost thrilled reading about it. 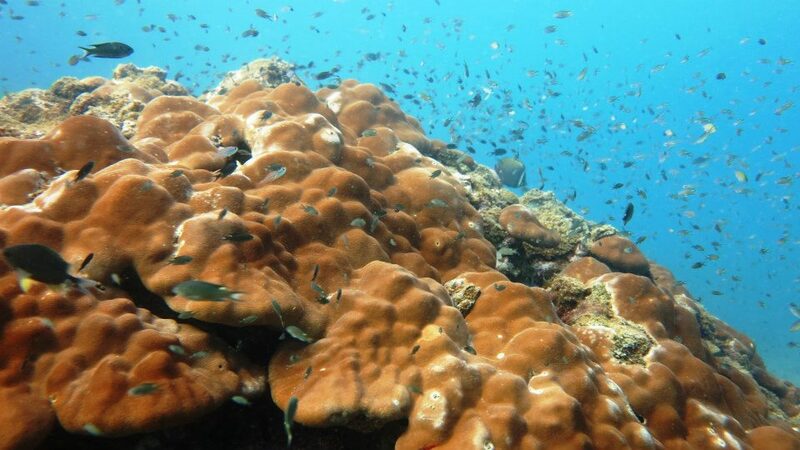 Netrani is really a lovely place to Scuba dive.. Thanks for sharing your experience..
Hi Krishan, Thanks for the Info! How did you traveled to Murudeshwar from Hyderabad? Thanks Krishna.. for the Info. Nicely put, good for anyone who wanna go for it.. Good work guys.. Keep it up!!! !